A designer handbag is for life and this is why the purchase of one should take time and consideration. When we are looking for a designer handbag to bring to parties with us our priorities are not always the same as when looking for a handbag for day wear. We want something chic and sleek, as well as a bag that will make us shine. This is why the Twinkle blue Milton Clutch and the stunning Violet Milton Clutch created by our atelier PLIA Designs, are the perfect evening party designer handbags. 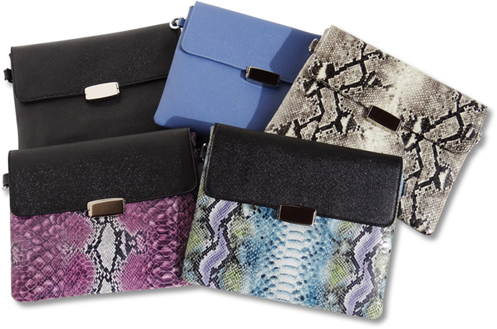 As well as being stylish and elegant the Milton Clutch is also roomier than most other clutches and fits a iPad Mini. In fact it has become the star of designer handbags for the evening. The vibrant colors have seduced fashion editors and style bloggers alike, who love to wear black in the evening but also adore that dash of color that the Milton clutch brings to their night.